Haley Joel Osment must have a great PR manager. Now that puberty has sidelined the young actor’s career, he’s discovered the benefits of undercover, voice-over work. Having lent his voice to the “Kingdom Hearts” video game and sequels to Disney’s The Hunchback of Notre Dame and The Jungle Book, a raspy-voiced Osment goes slumming with Disney’s adaptation of their Country Bears theme park ride. Osment stars as Beary Barrington, an adolescent bear who goes searching for his destiny when his human brother picks on him for being different. 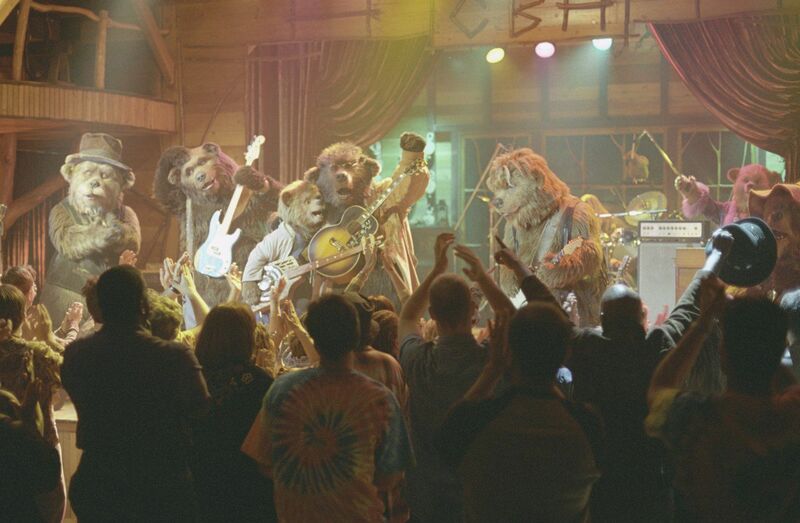 No doubt high on “Brady Bunch” re-runs, Beary helps reunite the now defunct Country Bears group in order to save the Country Bear Hall from being demolished by Christopher Walken. When the Country Bears aren’t bringing down the house with their cutesy bluegrass jams, they’re cracking jokes so lame you may wonder what happened to the tumbleweed. The filmmakers evoke a real sense of history and familiarity during the opening credits yet they refuse to acknowledge the chaos that brought an end to the Country Bears many years ago. The celebrity cameos are tragic while the spontaneous music video renditions of Country Bears anthems scream Kelly Osbourne rather than Madonna. Less Behind the Music than Afterschool Special, The Country Bears is thoroughly embarrassing.